Addressing a press conference, Imran Khan also reasoned India’s retaliatory air strikes in the aftermath of the Pulwama terror attack to its upcoming General elections. Islamabad/New Delhi: There was no room for “jihadi outfits and jihadi culture” in Pakistan, Prime Minister Imran Khan said amidst mounting global pressure on his government to rein in the terrorist outfits operating from its soil after the Pulwama attack. Addressing a press conference, Khan reasoned India’s retaliatory air strikes in the aftermath of the Pulwama terror attack to its upcoming General elections. He added that the security risk at the Line of Control (LoC) will continue until elections are held in India, further asking Pakistan to be ‘prepared’ at all times. Tracing the history of jihadi outfits and “jihadi culture”, he said “these groups have existed since the days of the US-led Afghan war against the Soviets in Afghanistan, and have operated from here for decades”, Dawn news reported. He said that there was no room now for any such group in the country, as Pakistan would like the world to believe that it was not only a peace-loving country but it was sincere in eradicating this culture of “jihadism” and terrorism through short-term and long-term policies. 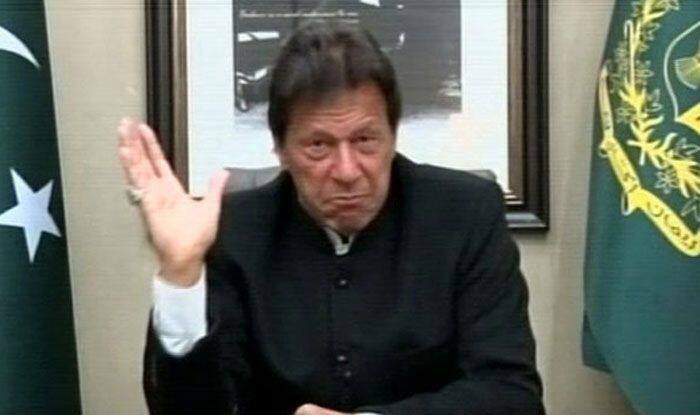 Raising alarm over New Delhi’s persistent efforts to get Pakistan blacklisted in the Financial Action Task Force (FATF), Imran Khan said that if that happens, the country’s economy will topsy-turvy. The international terror financing watchdog FATF last month decided to continue the ‘Grey’ listing of Pakistan for its failure to stop funding of terrorist groups such as Jaish-e-Mohammad, Lashkar-e-Taiba and Jamat-ud-Dawa. In June 2018, Pakistan was placed in the ‘Grey’ list and given a 27-point action plan by the FATF. This Plan was reviewed as the last Plenary in October 2018 and for the second time in this week-long meeting. Tensions between India and Pakistan escalated after a suicide bomber of Pakistan-based terror group Jaish-e-Mohammed (JeM) killed 40 CRPF personnel in Jammu and Kashmir’s Pulwama district in February 14. India launched a counter-terror operation in Balakot. The next day, Pakistan Air Force retaliated and downed a MiG-21 in an aerial combat and captured its pilot, who was handed over to India on March 1. Meanwhile, the United States President Donald Trump recently said that if another terror attack takes place in India and the probe pins to its buds originating from Pakistan- it would be ‘extremely problematic’.